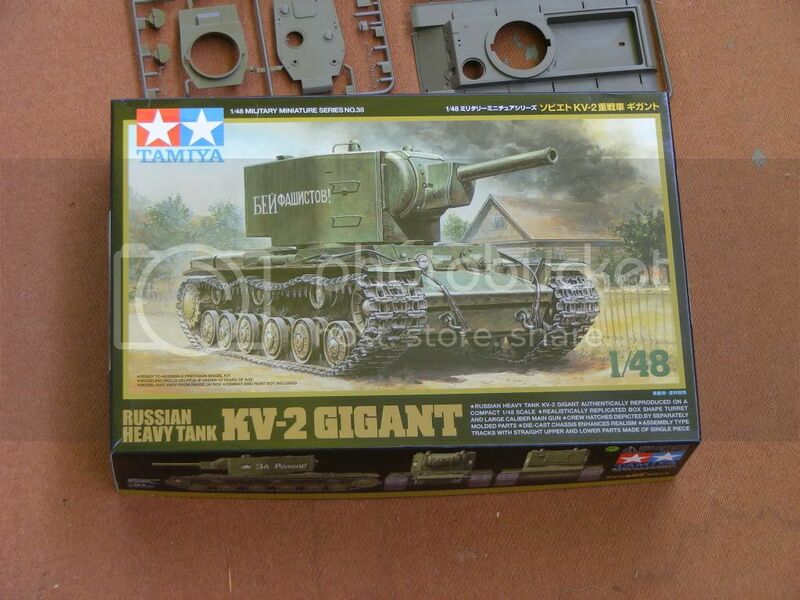 Please count me in, all I need to do now is decide which model to build!!! I would like to sign up for this too; it might make me actually finish something!! Alright, glad to see so many people joining in the game. Here's my plan for an M8 greyhound with some Blackdog snowchains and Dioart C-ration boxes and maps, and the Mig figures. I've been thinking of adding a little jeep with one of the Dartmoor guys fixing it but I also want to make sure not to bite off more then I can chew and finish this thing. I am in, I probably will built a Humvee ! I am also in on this one. 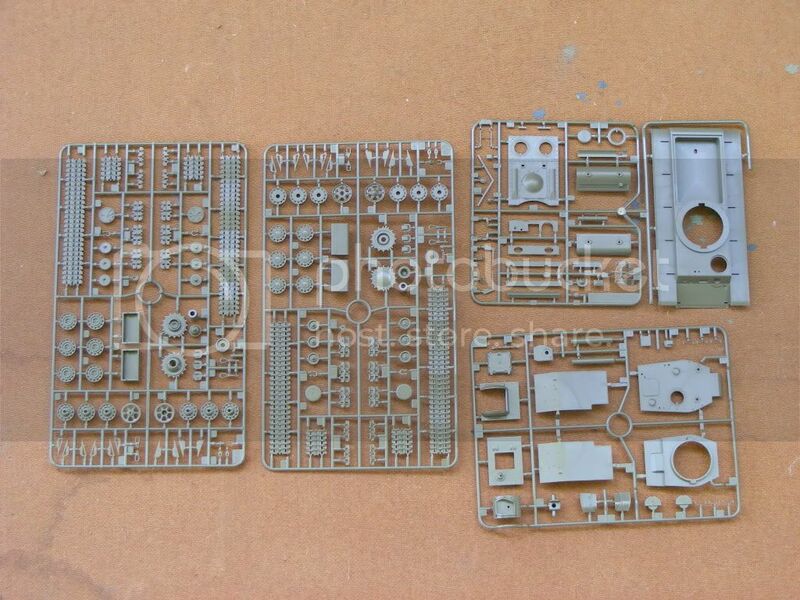 I have the AFV late Tiger 1 and the Hobby Boss T34/85 in the stash so a nice choice! Hi guys! Wow, quite a few new enlistees this week! Welcome to you all. We are now 60 participants! Tim (wunwinglow) and Jose Luis Lopez, don't forget to sign up on the campaign page! 3 more days to go! I will try to look in on Wednesday from my mobile device. Keep the "before" photos coming! Stefan: Nice list you have there, what program are you using? I still need to get the replacement barrel for my Hetzer and then I'm good to go. Does anyone know of a good seller in North America who sells Hauler products? Thanks Greg, what are your experiences with either or both of those stores? Jeremy, the program I use is plain old Excel and then convert it to jpg... Not very satisfied, I will have to find a solution with better resolution. Remember, everybody, a pic of the unstarted kit is mandatory for the campaign. Stefan: I'm curious as to how you added the checkmark boxes in Excel? And should I post a pic of my unstarted build, even though I don't have all of the AM parts yet? I recently placed an order with Track48 (some bits for this campaign) and other than slightly higher shipping and a little longer shipping time (about 9 days) the servcie was the same as any other reputable dealer - very good. I would highly recommend Track48. Track 48 is actually a true mom+pop operation,I think they work out of their house,they have other jobs.I actually called the # one time,and a kid answered the phone and said my mother will be home after 6 !! But that being said they are nice to deal with.Meeta the owner goes out of her way to be helpful,it just takes a little longer. Much thanks for the info guys, I just created an account with them and will hopefully be placing my first order with them soon. Let's see If I posted this right this time. It's almost time! I cracked open the box tonight, and I'm prepping to start the build tomorrow. Here is my pre-construction photo. Do we also need to upload this to the Gallery? 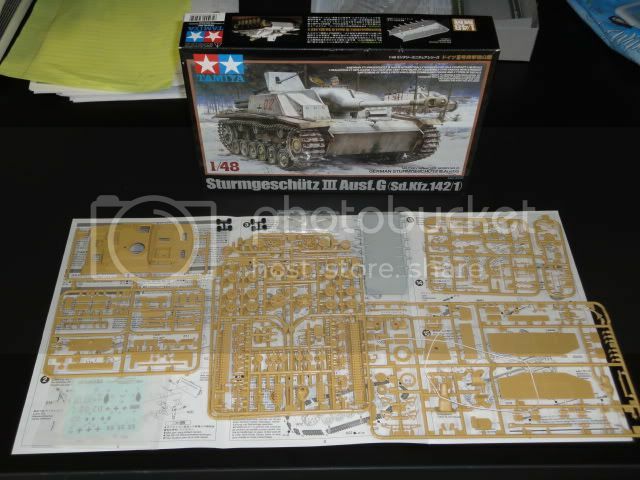 Tamiya 1/48th Sturmgeschutz III Ausf. G. Hope to start this weekend. You guys have some great looking projects for this campign. In about a week I should have the rest of the stuff I need for my Hetzer build, and I'll start posting then. I'm really looking forward to building my entry. here's my kit still in the wrappers. The great time is comming finally. This one is my victim for the campaing, although it will go a bit slowly because I have some other builds on the go at the moment. My plan is to add some figures and a decorated base later but nothing decided yet. Howdy Folks! So the campaingn is finally a go. Just a quick check in from my mobile device. I'll be joining y'all on the Weekend. Have Fun and enjoy the campaingn! I was going to do a Firefly with Hessian Tape of Blackdog. Now I remembered that I hacked together most of the donor kit some time ago, don't even have the box anymore (arrgh..). Now: do I have to buy a new Firefly kit to meet the requirements or may I use my old one and chop off everything I don't need? It's almost done mind you so it is not a virgin kit! On the other hand I have to throw away most of the upper hull bits and the complete turret with barrel and stuff. Plus for me the most fun part of building is painting. If thou art pained by any external thing, it is not this that disturbs thee, but thy own judgment about it.